If you're in the middle of a custody battle, then you may already know they can be time-consuming, emotionally draining, and very expensive. Given the arduous nature of the custody battle, mistakes happen, some of which, once made, are nearly impossible to reverse. It is crucial to have a solid understanding of pitfalls to avoid and the factors needed to gain an advantage. Here are some pointers to help you navigate this choppy terrain. People lose their cool under the pressures of a custody battle; it's just a given. Sudden outbursts or emotional meltdowns can cause severe problems for the outcome of your case; so, even though it may be difficult, keeping a calm and clear presence as much as possible is highly advised. If you have been ordered to pay child support, you can never be late on a payment, ever. However, issues do arise, such as loss of a job or unexpected emergency expenses. If this happens, it is vital to file a motion with the court as soon as possible so that the judge can be made aware. 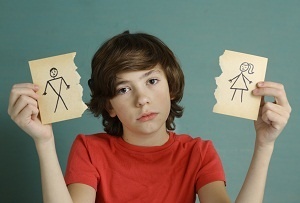 Here is an unavoidable fact in a custody case: your children are collateral damage in the battle with your spouse. It can be easy to lose yourself in the process, but if it ever appears to the court that you have put your own needs above your kids, it will only damage your chances. Another critical factor is always to be clear what it is you hope to achieve with custody. If the present situation seems to be working for everyone's needs and schedules, you have to know the court will not feel a need to change the custody terms. If your spouse currently has the lion's share of time with the children, you must be explicit about why having more time with you is in the children's best interest. If you have questions or concerns concerning how best to approach a custody battle, or would like to find Granbury, TX, lawyers, contact GIG Law for more info. Glasgow, Isham & Glasgow, P.C.